Winter is on the horizon! While the garden may have stopped producing already, (or is on its way out) there are still ways you can grow fresh produce in the winter. Even if you live in the north, there are some simple things you can do to keep growing your own food through the winter months. These are some of my favorite ideas, be sure and share yours in the comments! Utilizing a greenhouse can allow you plenty of space to grow your own produce year round. You will need to research, based on your area, whether you want to install an insulated, or an uninsulated greenhouse. If you live in a colder area, you will want to use an insulated greenhouse. You will also want to supplement with some type of free standing heater at night, during the winter months. Using a greenhouse will also allow you to start your summer plants in earlier months like January or February. And you won’t have to take up any space in your house. We plan on building a greenhouse on our property in the next year or two and I am very excited to have it! If you are wanting to build a greenhouse you might be interested in this Frugal Greenhouse idea. Viral posts have gone all over the internet about people re-growing their store bought produce. There are several types of produce that you can easily re-grow to use again and again from scraps you would generally throw away or compost. The process to re-grow the produce indoors is simple, and only needs a small space with good lighting (a window sill works great.) After using the produce, take the base of the plant that would have initially been in the ground, and place it in a glass jar or cup that’s about half full of water. Watch it grow and produce over the next several weeks. This not only makes great use of scraps but stretches your dollars a little further. Some popular types of produce to re-grow from scraps are lettuce, celery, pineapple, and herbs. 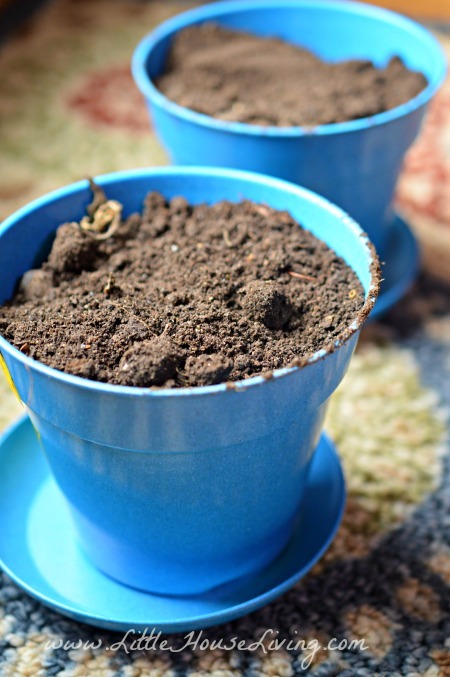 Check out some step by step tips on how to Re-Grow Store Bought Vegetables. You might also like this article on How to Make Produce Last Longer. If you want to take growing produce during the winter a step farther than just re-growing table scraps, you can have an indoor container garden too! This requires a bit more attention, labor, and space, but will also allow you to grow a much wider variety of produce as well. Herbs are a great thing to grow all winter long indoors and don’t require a lot of sunlight or maintenance. 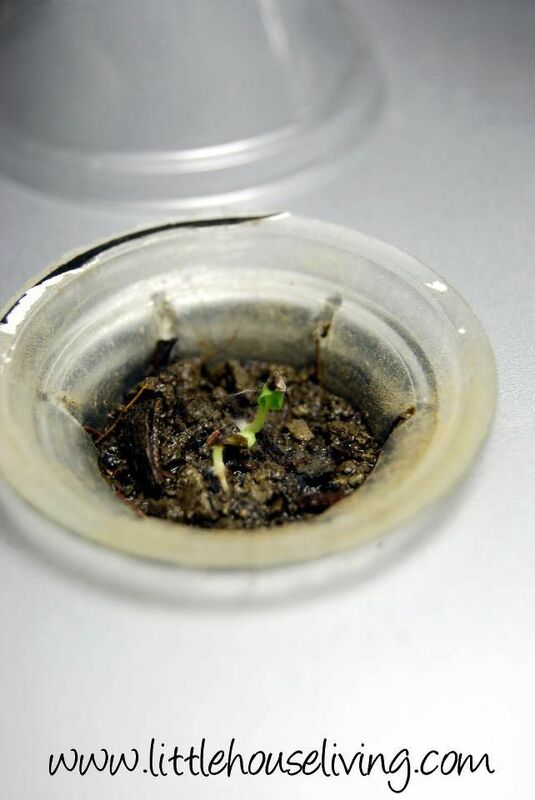 They can also be kept in small pots, to avoid filling the house with plants. You can dedicate a specific area in your house to indoor gardening during the cold months. Or you can spread them out over the house to find the best light, depending on what you have the room for! Some plants that do well in containers for growing inside are onions, potatoes, peppers, herbs, mushrooms, tomatoes, and garlic. You can dedicate a specific area in your house to indoor gardening during the cold months. Or you can spread them out over the house to find the best light. It all depends on what you have the room for! Some plants that do well in containers for growing inside are onions, potatoes, peppers, herbs, mushrooms, tomatoes, and garlic. The most important aspect of indoor container gardening is having the right light. In the winter when days are shorter you will need to give the plants at least 8 hours of full sunlight. That is hard to get unless you are continually moving the plants around the house to the sunniest windows. I have a few of these Plant Grow Lights and they work wonders! You can see some of my past indoor garden experiments here: Planting a Winter Garden and Creating a Winter Garden. Hydroponics can seem overwhelming if you’re new to gardening, and possibly even if you’ve had a standard garden for a long time. Doing some research will help you understand that hydroponic gardening isn’t as difficult as it seems on the surface. If you have the time to set it up, do the research, and maintain it on a regular basis, it can help you maintain a steady stream of home-grown produce year round! There are multiple options when it comes to hydroponics. You can buy a kit to start your own set-up, or you can plan and build your own. Planning and building your own will save you a fair amount of money, so I would suggest going that route if you feel you’re able. Amazon has several great hydroponic products that you can put together to make your own system. Another idea is to grow using an Aerogarden, which is a nice “beginner” hydroponic gardening system. I have one of these and use it to grow bunches of lettuce all year round! Hydroponics allow you to grow many more plants in a much smaller space, making this a very doable winter option. Another plus to hydroponics is that it’s a very environmentally friendly set-up and usually takes very little energy to run. 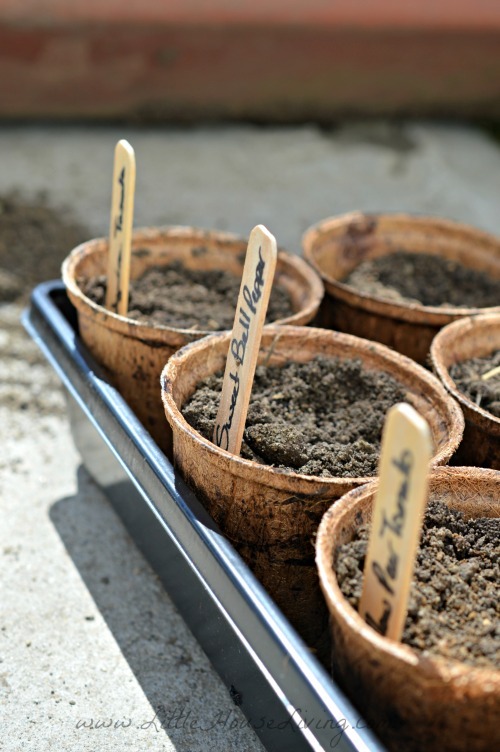 Of course, a great way to get your garden started early in the spring, and without fear of the frost burning out your starts, is to begin your seeds indoors. Since the seeds are started inside, you need to place them in an area of the house that gets plenty of natural sunlight. By starting your seeds inside, you give them a much better chance of surviving once you place them in the ground outside. Even if there’s still a few cool nights on the horizon. I always start tomatoes and peppers indoors because we have a shorter growing season than most. This year I also started winter squash and pumpkins indoors as well. It definitely helped the plants mature faster and saved them from some of the bug damage that we dealt with. 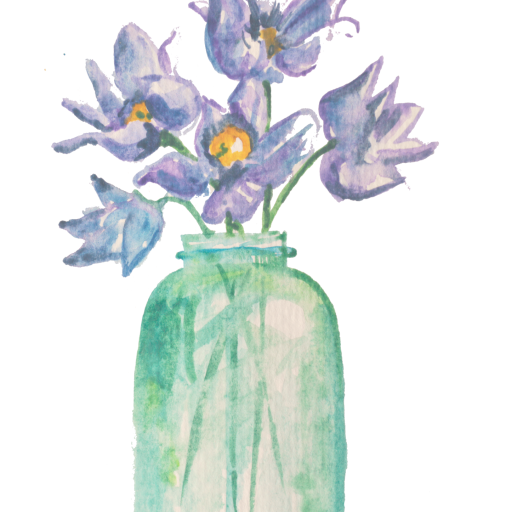 You can read all about this in my blog post about Starting Garden Plants from Seed. Do you grow your own produce during the winter months and have some tips to share with us? We would love for you to share your experience and advice with all of us in the comments below! Growing your own produce doesn’t have to stop in the cold, winter months, but can easily be continued by using some of these, and other, ideas. 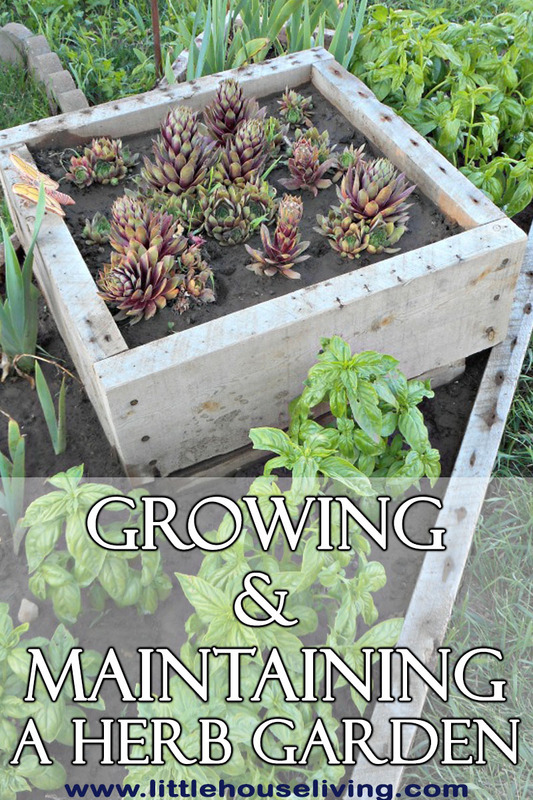 Don’t put away those gardening tools just yet, you’ve still got growing to do! 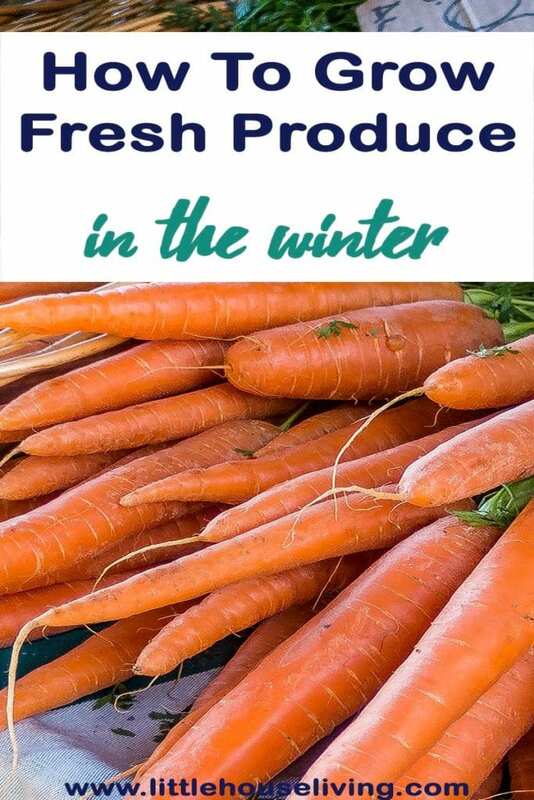 Do you grow fresh produce in the winter? Which methods do you use? Marissa, are you still writing this blog? I have not received any notices in a long time. I remember pre ordering your book but do not remember ever receiving it. I lost track of the time but seemed it was to come out last October? Hi Joyce, yes this blog is still going strong. If you pre-ordered my book before it came out it would have been from either Barnes and Noble or Amazon so I would look back through your previous orders at those places to see if there was an issue.